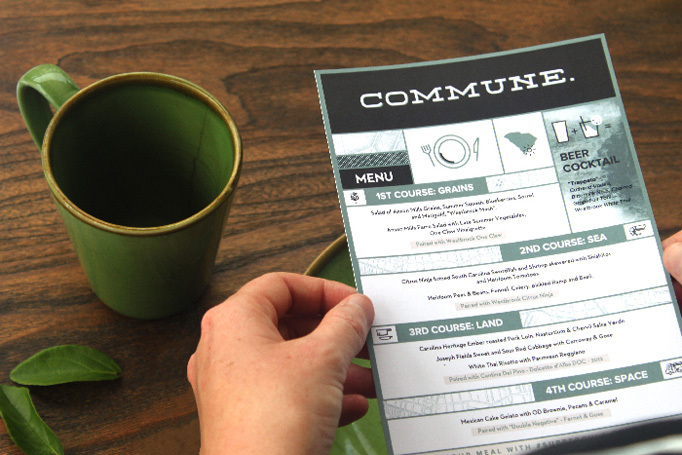 Art of the Menu: Commune. 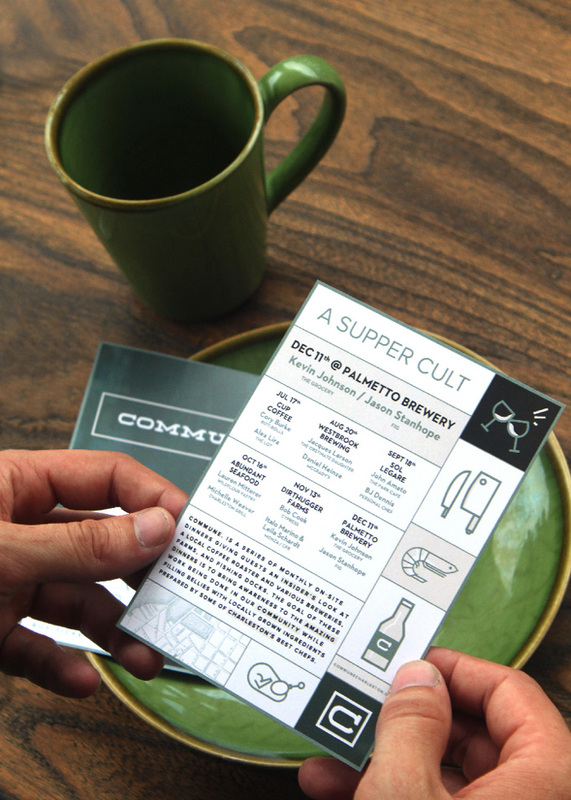 Designed by Fork & Knife. 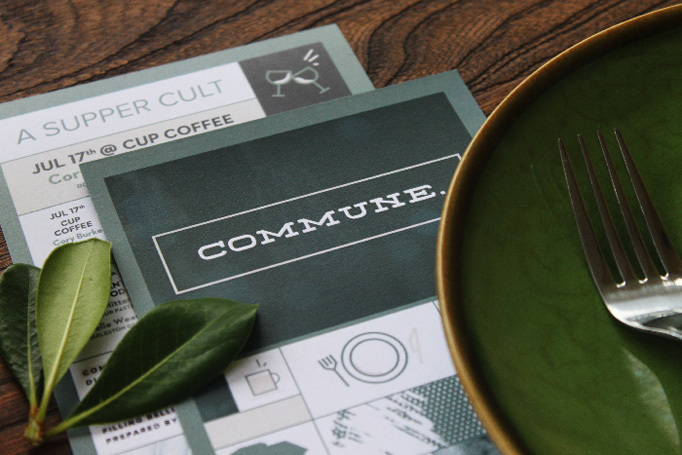 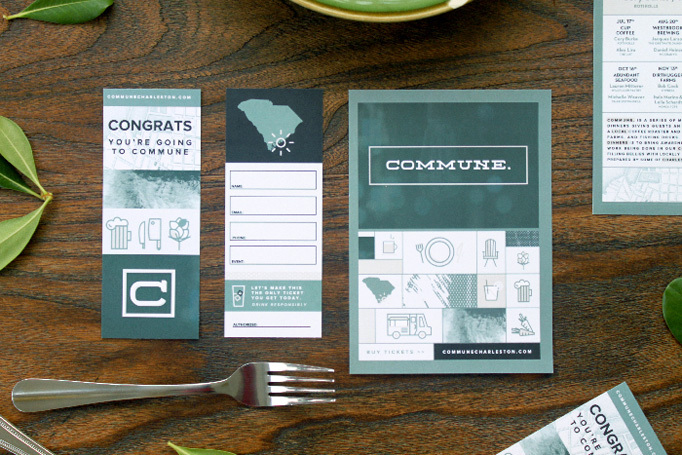 Created by Charleston branding studio Fork & Knife, Commune. 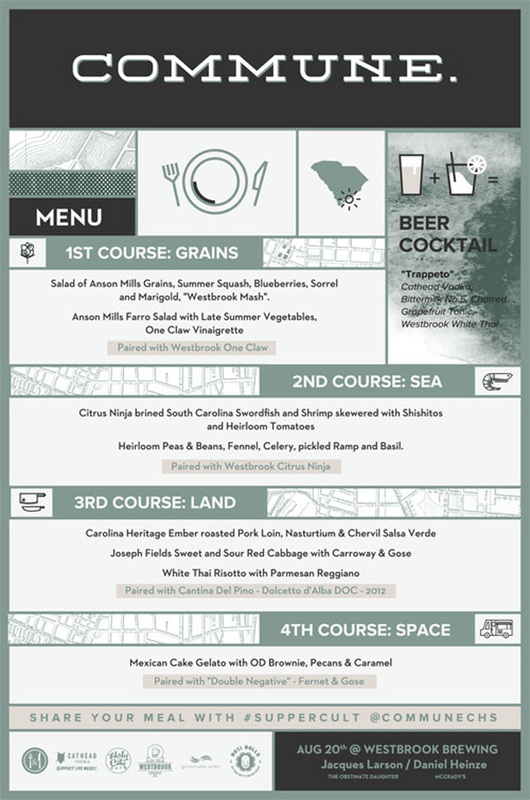 is a supper club that pays homage to local artisans by setting up pop-up dinners in breweries, farms, fishing docks and more. 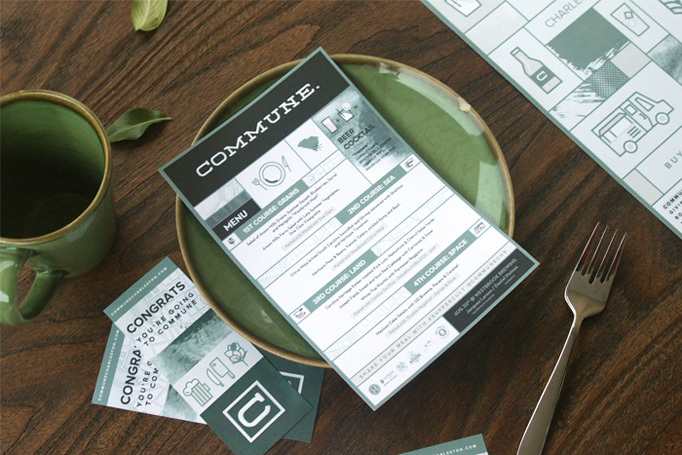 Modular in design in order to accomodate for ever changing offerings, the menus’ friendly iconography ties all of the dinners together.